I know this is going to sound like a completely irrelevant question, but I'll ask anyway: how tall are you? Oh, and happy SITS Sharefest! Hey Christina....that's not a strange question...infact I think it's very relevant, especially when trying new styles. I am infact very short...I'm just under 5ft - so like 4ft11 ish - I think that about 150cm. 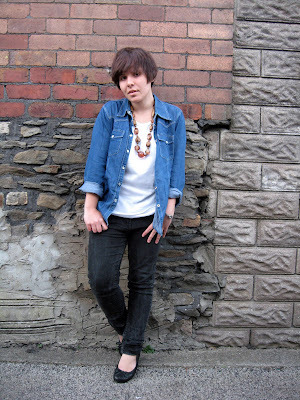 Great casual look...I love the necklace and denim never goes out of style so great choice.